We're well on our way toward the cooler months of winter (yikes! ), however, we're still reeling from the cringe-worthy damage the summer season did on our delicate strands (humidity, dry heat, salt water, chlorine—you name it). Thus, suffice to say we're in desperate need of some serious hair therapy and have been on the hunt for the best drugstore hair masks. Yes, the affordable (albeit potent) formulations to help revive our tuckered tresses with hearty deep-conditioning benefits rivaling our favorite (and much more costly) in-house salon treatments. And luckily, our search hasn't been for naught. After all, our local drugstore shelves are fast and furiously filling with hair masks specifically designed to repair and quench overworked, over-processed, and over-dry strands. And equipped with such helpful ingredients like natural oils and strengthening proteins, we've found eight drugstore hair masks that we're especially fond of. Below are a number of top-notch steals that we at Byrdie HQ swear by. Ready to bring your hair back to life (in five minutes or less)? Keep scrolling for eight of the best drugstore hair masks money can buy. 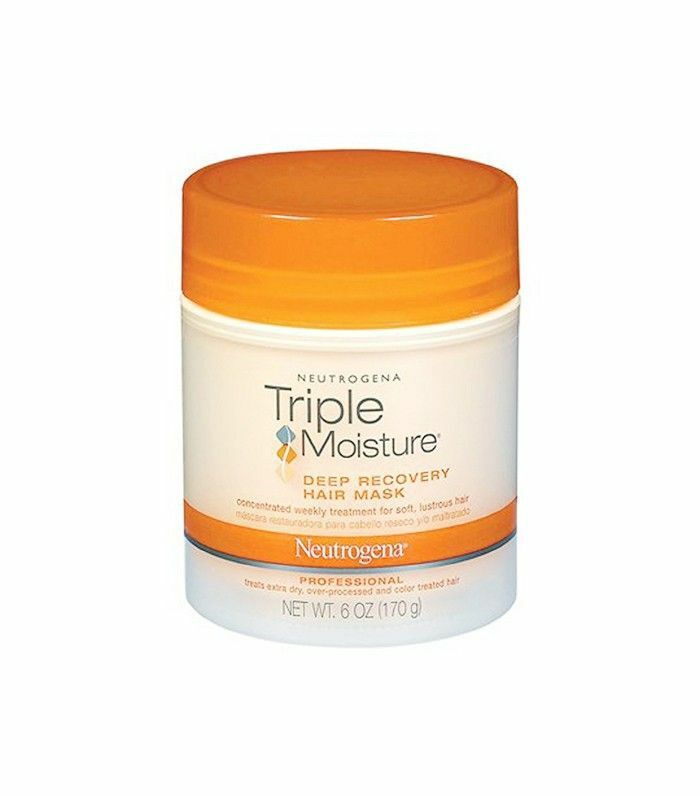 This sizeable tub of Neutrogena's Triple Moisture Deep Recovery Hair Mask ($6) is full of natural extracts like olive and sweet almond to soothe your overprocessed strands. Just keep in mind this drugstore hair mask's potency. A little will go a long way, and the brand recommends to use it just once per week. 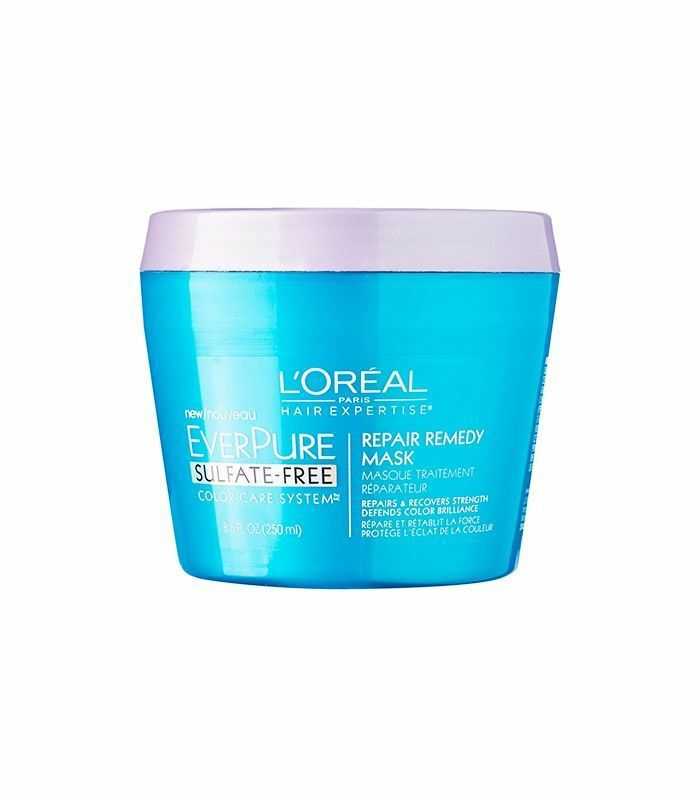 L'Oréal's EverPure line is free of sulfates (which break down proteins and weaken your hair). Instead, the line's Repair Remedy Mask uses a 100% vegan formula to lock in your color for up to 32 washes and it's specifically formulated to fortify strands to be three times stronger. In other words, this drugstore hair mask is one of the best and exactly what the doctor ordered post-summer. While Aussie's beloved deep-conditioning mask really does penetrate your hair in just three minutes, you can also use it as a leave-in treatment for up to 30 since it's expertly blended to transform even the most dehydrated strands into spun, silky triumph. 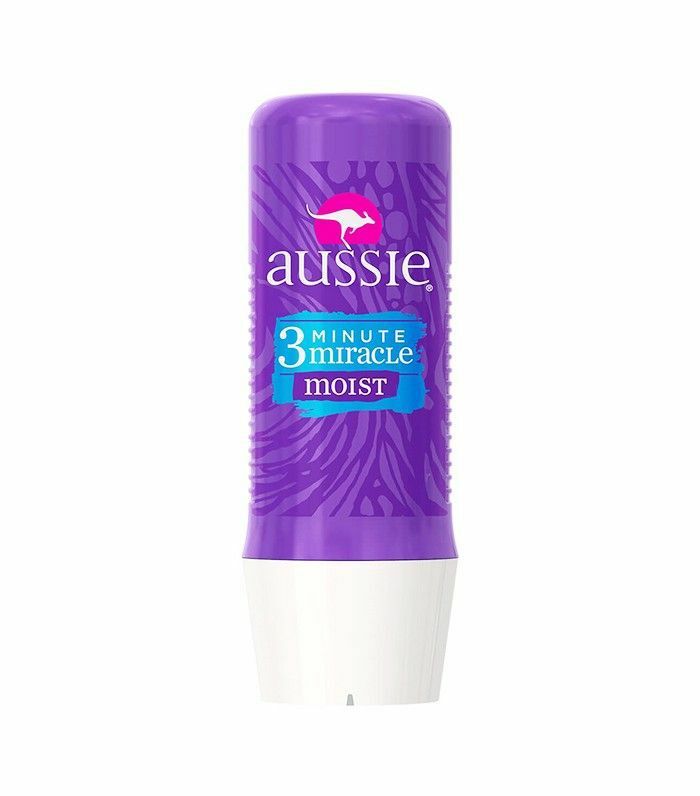 Plus, this best-of drugstore mask has that iconic Aussie scent we've loved since our junior high days… Just sayin'. If you have color-treated hair, this mask is a must. 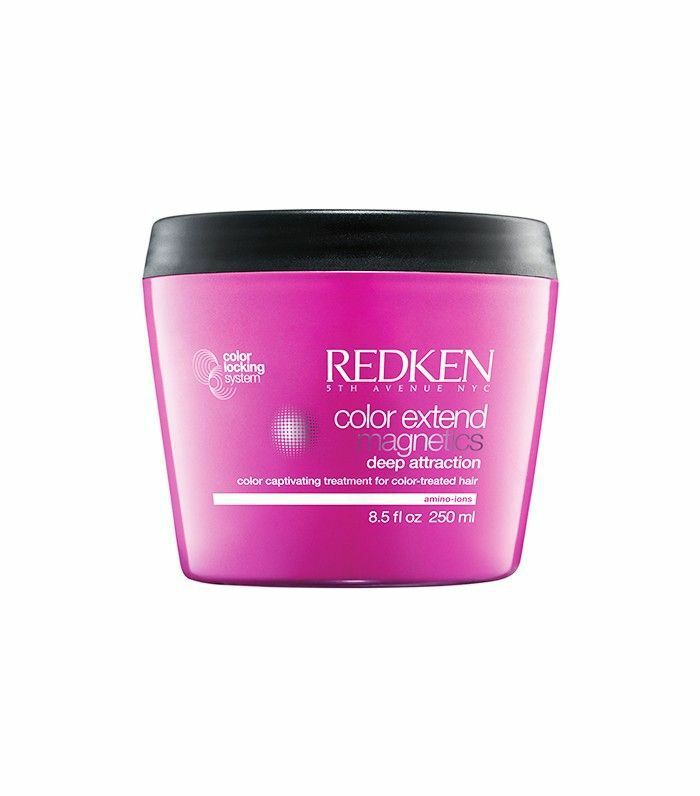 It has zinc gluconate, which helps your color last longer and strengthens the hair fiber to strategically infuse limp, thirsty strands with charged amino-ions to extend the life of your color job. And if we're being honest, the pretty pink tub also happens to be an aesthetically pleasing addition to our shower routine. If the smell alone doesn't convince you to buy this mask, its ultra-hydrating power certainly will. Fortified with dragonfruit, lychee berry, and green apple extracts, this mask is truly an invigorating sensory experience. However, it's also incredibly lightweight so that even those with super-fine strands can reap all of the nourishing hair perks. 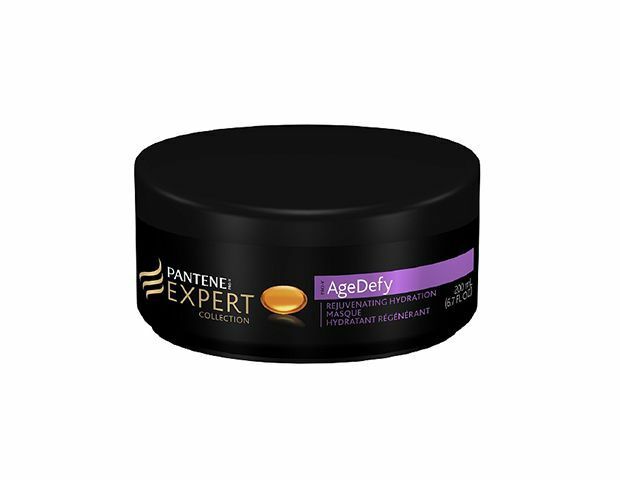 Pantene developed this mask with the anti-aging experts at Olay to create a formula that specifically restores the hydration our hair loses as we get older. In other words, even lifeless, damaged hair will look plumper, smoother, and so much healthier post-treatment. 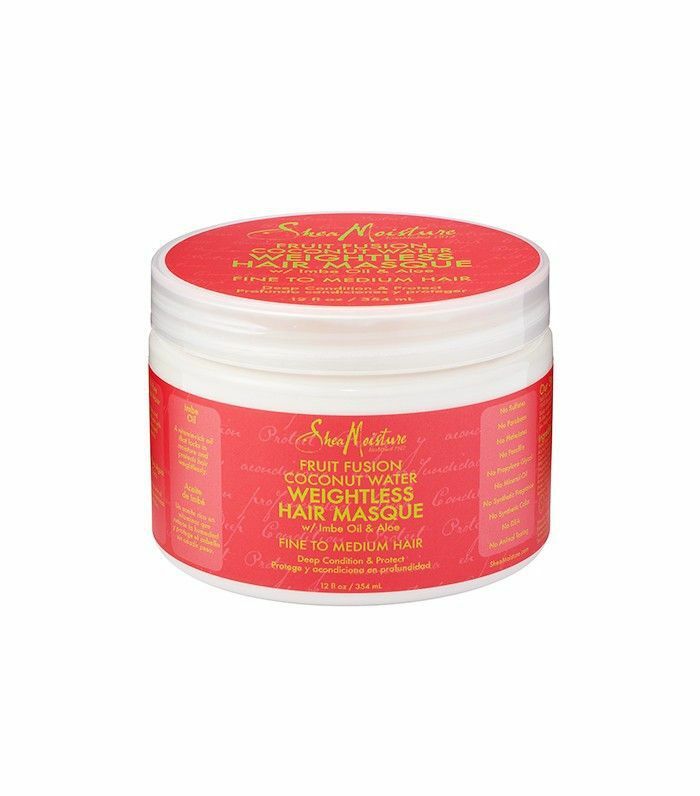 It's definitely one of the best drugstore hair masks we've graced our strands with and at such a good value, we usually stock up three at a time. Undo overworked and fried strands with this rich and creamy drugstore treatment mask. 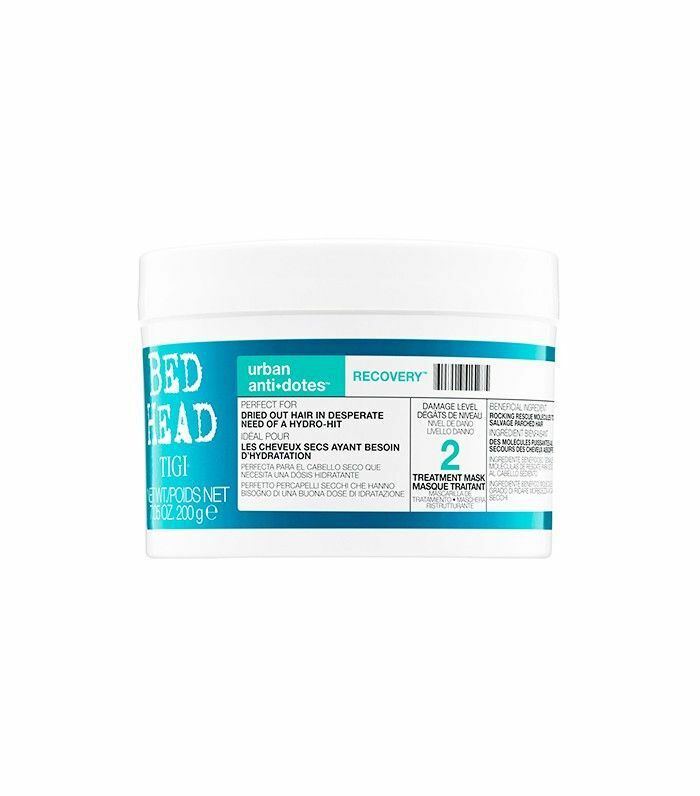 Formulated with such over-achieving ingredients like lactic acid, glycerin, and two special technologies: Tigi's Core Repair and Amino-Shield, hair will look and feel so much softer. Parched locks will definitely thank you. 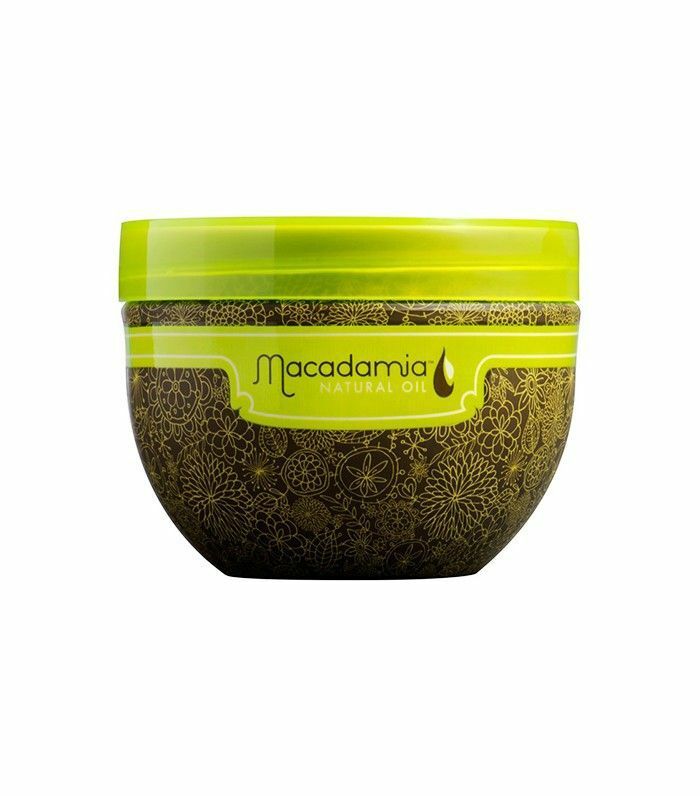 A previous salon favorite you can now score at the drugstore, Macadamia's Natural Oil Deep Repair Masque ($18) is enriched with the brand's signature blend of oils, which rebuild weak hair by providing deep moisture. Macadamia, argan, tea tree, and chamomile oils (plus aloe and algae extracts) create unparalleled shine, and the scent is like a slice of heaven in your shower each morning. Up next: the best moisturizing shampoos money can buy.